The traffic stood at a stall as I tried to weave my way between the cars while I attempted to enter the historical city of Kumasi, Ghana. I squeeze my way between a tro-tro and a beat up green and yellow taxi and reach a traffic circle abused by honking horns and gridlocked traffic. Somehow, I’ve managed to make my way into the grips of a tro-tro station as the amused looks of onlookers also note my mistake. After an hour circling to find an escape from my latest mistake, and perhaps the terrible life decision of driving a scooter across Africa as a whole, I find myself thinking this isn’t the Kumasi I was expecting. My professors in university spoke of a Kumasi full of kings and gold, not of traffic and smoke. 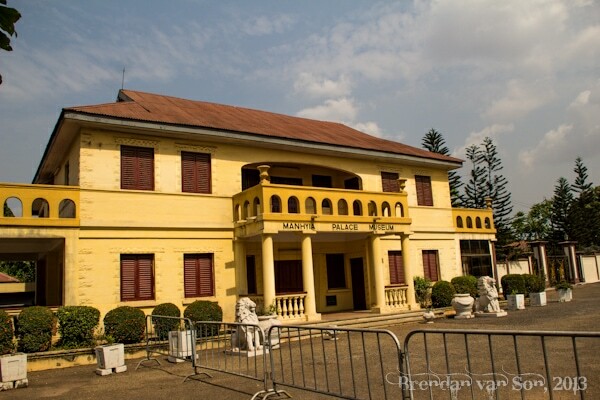 They told me of a Kumasi drenched in history and pride, not of flickering electricity and a lack of running water. They told me of a history so grand that it rivals the stories of any of the world’s great empires. But I’m starting to realize that I’ll have to dig a little bit to find the history that has so intrigued me since my late teens. It’s easy to wish you could see the world as it once was, but maybe the truth is that even then it was more chaotic than it seems in the stories of the old men and women who tell the tales. It’s perhaps a romantic dream that the world wouldn’t develop, that instead it would remain intact and uncorrupted as it once was. However, as I now push through the crowded Kejetia Market I realize I’m going to have to settle for the stories. 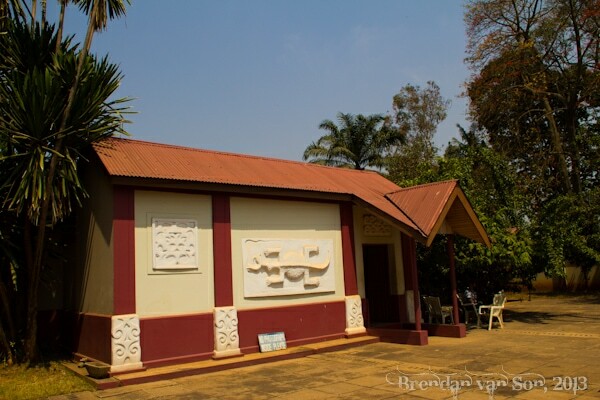 The garden of the Kumasi Cultural Center offers a reprieve from the crowds, but I’m hit by the realization that the heat of the air melts most to those in the open air. I wander into the white walled museum and turn down a barrage of towels to wipe the sweat from my brow, my neck and, well, my everywhere. My guide stands with a strong stature as she leads me through displays of old cloths, cooking equipment and finely carved stools of powerful significance. I nod my head in the realization that I learned all this in school but never really understood it until I saw it with my own eyes. History has a funny way of molding in the minds of those who are told it. We create stories and visions for the way we interpret it. Our imaginations wander in the way they choose, like they did as we lied in bed as our grandfathers described the dungeons and dragons. Post-inundation with information of the Ashantihene and the traditional ways of life in Ghana, I again take to the streets and twist and turn my way to the palace. After an informative video that I’m sure I watched in school, a guide calls out from the back beckoning me to join him. As usual, I hear the stories of how the arrival of foreigners meant the death blow of the traditional world. We wander through the palace and the guide shows me the former king’s television, his sofa couch and his very European kitchen; none of which I’m allowed to photograph. The planet has obviously changed. No matter how much we dream of stumbling through a world where kings still float above the streets on the shoulders of their protectors, it’s not going to happen. The modern world has its beauties. Television, internet, and smartphones offer a smaller globe than anyone has ever imagined. However, the simplicity, traditions, and ways of life of the past intrigue me more than any tablet or laptop. While many have dreams of a world involving jetpacks, flying cars and teleportation devices, I dream of the past. I would give anything to see the rawness of the ancient world, the strict traditional practices and perhaps the simplicity of the rules of life. However, as I walk back through the bustling street markets of Kumasi, I have to learn to come to grips with the fact that the world is no longer how it was. And no matter how much museums might bore me, it is here that the life of the past has been persevered. It is here that we learn the mistakes of our histories. It’s here that we can learn how to provide the light for our futures.